"We only have the land for a short time, we must leave it intact." I'm back with another novel of a post to recap our last two days in Selenkay. So grab your coffee (or wine if it's after noon) and settle in! Selenkay Conservancy is located about 10 miles north of Amboseli National Park. The land is leased by Gamewatchers from the local Maasai. Their model promotes both wildlife conservation while also providing economic opportunities for the local Maasai communities. 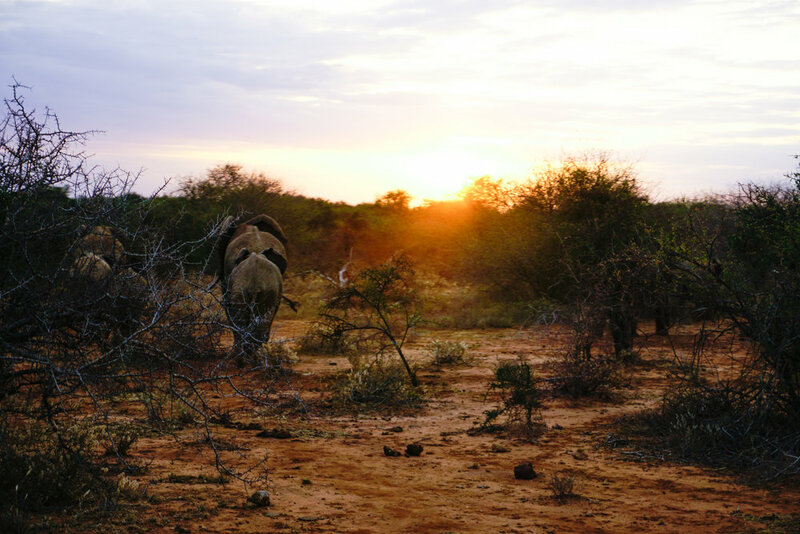 You can read more here and here about how these conservancies are making a difference for the both the animals and the people. As I mentioned, we researched probably hundreds of companies, but wanted to ensure we were travelling as responsibly as possible and in a way that wasn't exploiting the local people or wildlife. After our trip I couldn't of been happier with Gamewatchers. Staying in these conservancies vs. the parks allowed for so many additional benefits that made our trip extra special (and should be considered for anyone planning to go on safari). In the national parks you're confined to the roads and they are generally crowded with tourists and minivans, especially during high season. Within the conservancies, there is a max density of 1 tent per 700 acres. In Selenkay Conservancy where we stayed there were only two camps, meaning you often never saw another vehicle when out on game drives. Additionally, we were able to off road everywhere and get really close to the animals. Because of this low density of tourists and no poaching in the area, the wildlife wasn't fearful of us and we got to observe them engaging in their natural behaviors. We camped for 3 nights in the Selenkay Consverancy (small green shaded area) and took a day trip to Amboseli National Park. Just arrived in Amboseli National Park. I loved driving through the community lands to get here and to witness some of the traditional day-to-day life. Amboseli was like a movie set. Animals everywhere you looked. Amboseli is known for their elephant populations. Some of the elephants will transverse between the conservancy and the park depending on water availability. Scroll through for a small smattering of pictures from our day in Amboseli. SO many great memories. We saw two lions try to take down a giraffee, they weren't successful, but I loved watching the behavior of the wildebeest and antelopes in the presence of the lions -look closely at two of the photos to see one of the lions in the background. Elephants galore in Amboseli. Including an elephant named Angelina and her two daughters who Wilson, our guide, had been studying for the last decade. I think we sat and watched Angelina and learned about her from Wilson for at least thirty minutes. There were so many wonderful memories and cool stories from this day I feel like I could fill this entire post with them. One of the neatest things we saw was back in the conservancy, on our drive to Amboseli: a baby giraffe antelope, per Wilson likely just a few hours old. Both parents were near by, when they saw our vehicle they hid the baby and then took off. This is their way of protecting the newborn and trying to distract/confuse the predator as the baby wasn't old enough yet to run. We ended our evening, just our group, around the campfire as the other people staying at the camp went to bed. We talked for hours with Daniel, the camp manager, the cook, and several other staff members. It was a chilly Kenyan winter night where we all sat around the fire, underneath the stars, sharing stories about life back in the US vs life in Kenya and all things Maasai. We discussed climate change, politics (ours and theirs), healthcare, travel, food, etc. Easily one of the most magical nights and will go down as one of the fondest memories of my life. We spent our morning drive tracking these 5 lions that were roughly 2 years old, all siblings, and had been recently kicked out of the pride by their dad. One was really friendly and kept investigating and coming near our vehicle. We watched them attempt an unsuccessful hunt - I know everyone has to eat but I was fine with the outcome. That afternoon we went on a nature walk- which mostly turned into talking with Amos, one of the warriors, and learning more about Maasai culture. The last picture is of elephant footprints we came across. We ended our last day with a late evening and night drive back to camp, for our last dinner out underneath the stars, and chats around the camp fire. The next morning we would be packing up for our flight out to Ol'Kinyea Conservancy near the Maasai Mara. Stay tuned!